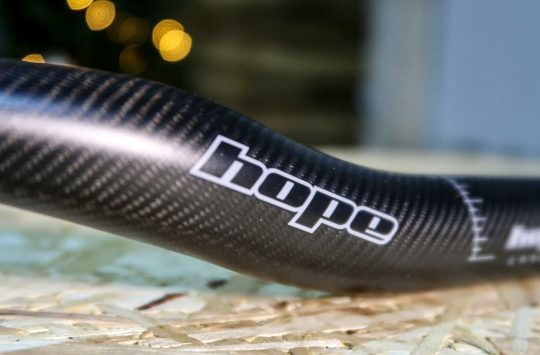 Hope’s EVO4 goes all-out on the weight saving. Each brake nestles four phenolic pistons within a rigid one-piece E4 caliper, connected by lightweight hose to a Race EVO master cylinder assembly. 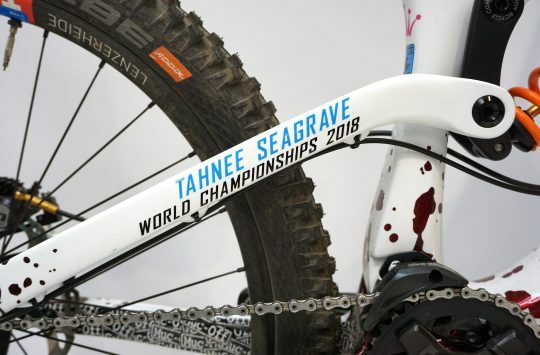 This has a drilled-out lever blade to aid grip (and reduce weight), a split clamp for ease of bar mounting, and you can also get mounts to directly bolt on your shifters. In a further attempt to save weight, the Race EVO E4s also come equipped with Ti rotor bolts and alloy lever clamp bolts. The brakes are designed to such an extent that the need for bolts is minimised, which also serves to make the structures more rigid. Once bedded in, riding them was a blast; these are genuinely great. Scads and scads of useable, progressive power. 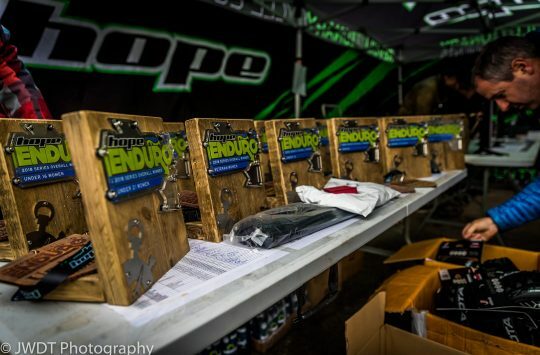 The combination of the four-pot caliper, a brake pad with a relatively large surface area, and 203mm front rotor meant I could fire into corners far faster than I would otherwise, safe in the knowledge that my stoppers would do their utmost to prevent me from smearing my face onto a tree. The drilled-out levers felt excellent under hand, and I didn’t find the feel nearly as wooden as I was expecting to. Lever reach is adjustable; I like to run mine quite close to the bars, and this was a piece of cake with a hex key. The only noise the brakes tended to make was the quiet susurration of pads occasionally brushing rotor when riding hard – very easily ignored. 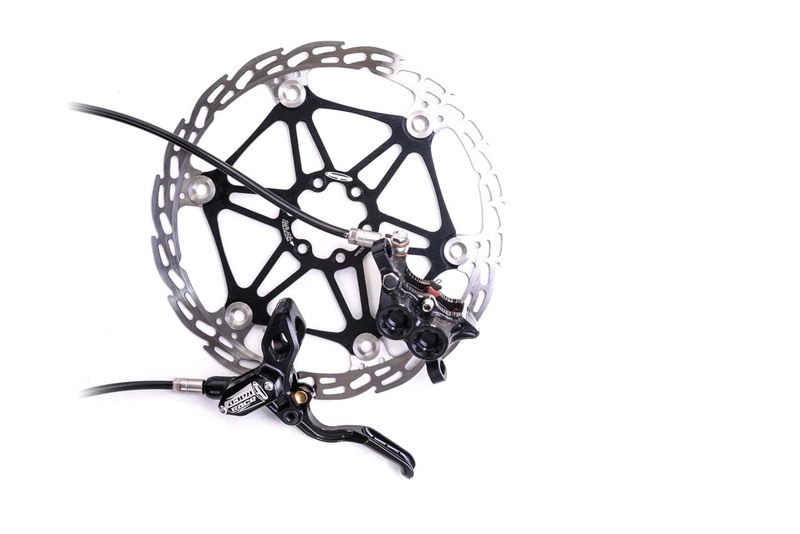 Even on the more than one occasion when I found myself riding in mizzle, or fording streams, the increase in volume was probably less than the equivalent Shimano XTs (my normal brake) and once the rotor dried the volume went down once again. Oodles and oodles (and oodles) of power, a lightweight package, and pretty-looking with it. Awesome. Is scad the same as wads?